At the top of my shopping list for Thanksgiving is ingredients for green bean casserole which is a tradition to serve with turkey each year. 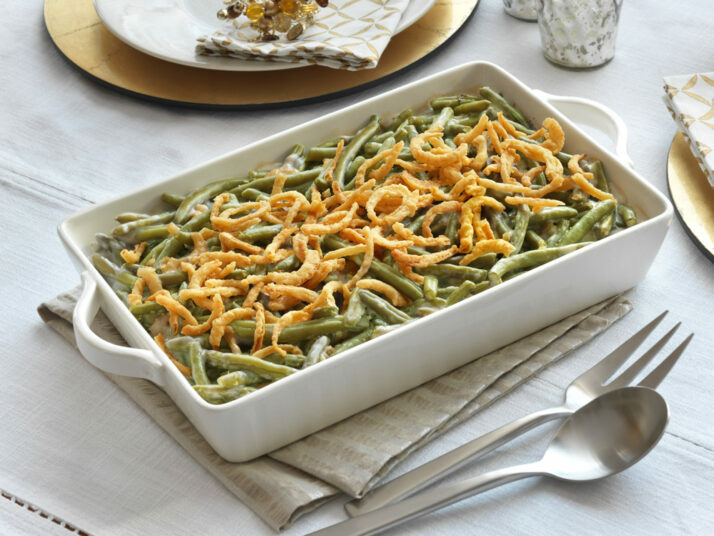 Have you ever thought out of the box and got creative with your green bean casserole? 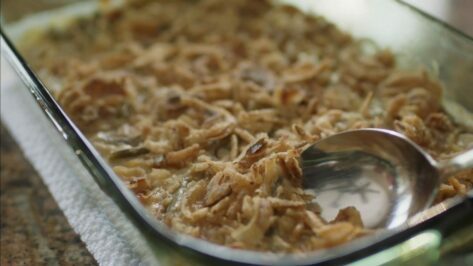 In this post I share the original Green Bean casserole Recipe and a few alternative to spice up a traditional favorite. Stir soup, milk, soy sauce, black pepper, beans and 1 1/3 cups onions in a 3-qt. casserole. Bake at 350° F, uncovered, 25 minutes or until bean mixture is hot and bubbling. Stir bean mixture. Sprinkle with remaining onions. Bake 5 minutes longer or until onions are golden brown. 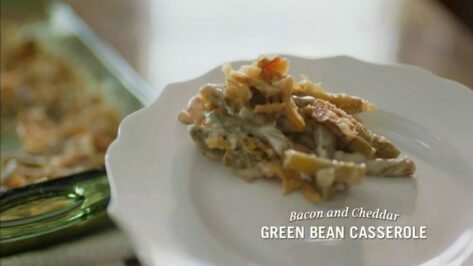 Have you ever thought out of the box when creating green bean casseroles? 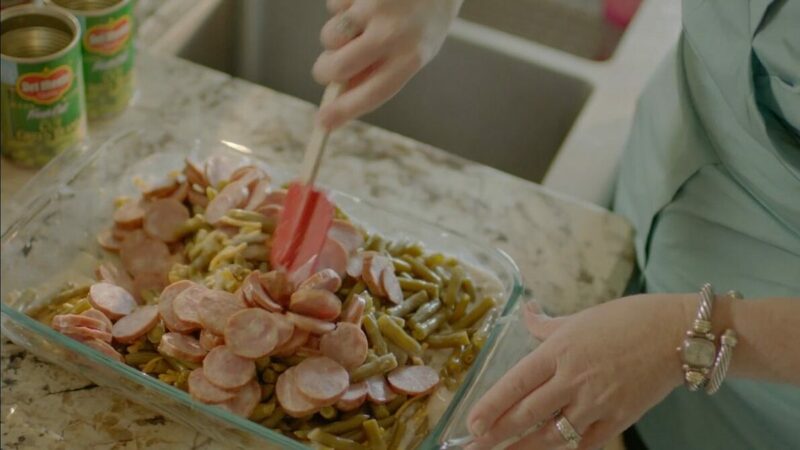 Check out the Creole Sausage and Green Bean Casserole in this post along with the green bean casserole I shared with you on Pinterest! Happy Thanksgiving Everyone – I hope these recipes and fun facts come in handing as you gather around the table with family and friends this week. I’d love to hear from you so please comment below and let me know what you think about the recipes. Maybe you have a favorite ingredient to the add to green bean casserole that wasn’t mentioned… spill the beans and comment!